The beauty of this session is that you can connect to nature even when you are not 'in nature.' You can relax to his session even when miles away from the nearest bit of natural greenery and still feel connected to nature. Om Namah Shivayay Mantra is a most potent and popular mantra, which is at the heart of the Vedas and Tantra, and is widely used in this and other variations in the Himalayan tradition, as well as by others. While there are other descriptions of the mantra, the following focuses on meanings for mantra meditation leading to Self-Realization. Experience an ancient healing technique that uses the cosmic vibration of Om Namaha Shivaya for healing humanity and Mother Earth. The chanting helps to heal any physical, mental or spiritual imbalances of the people participating. Healing Mantra is a practical way to raise ones internal vibration and assist in the development of your spiritual practice. As more and more you listen the Healing Mantra, the healing and sacred energy of Om Namaha Shivaya will naturally embrace, transform and expand our lives and existence as we know it. The chanting of Om Namaha Shivaya quickly relaxes the body and helps generate spiritual energy. In advanced practioners, this can happen during Healing Mantra and can be felt as a hot sensation emanating from the base of the spine. When Om Namaha Shivaya is chanted, the spiritual energies in the body are condensed and the mind can focus on to the mantra far easily. Such absorption fills the mind with peace and can eventually lead to increased spiritual wisdom. Healing Mantra helps to heal people and the surrounding on all levels: physical, emotional, mental and spiritual. A sound, syllable, word, or group of words that is considered capable of creating transformation. The Sanskrit word mantra consists of the root man to think and the suffix -tra, meaning tools or instruments, hence a literal translation would be instrument of thought. In Sanskrit, chakra translates into “wheel”. These wheels can be thought of as vortexes that both receive & radiate energy. There are 7 major energy centers in the human body. They run from the base of the spine to the crown of the head. Emotions, physical health, & mental clarity affect how well each chakra can filter energy. This in turn dictates how pure the energy is that’s emitted from different regions of the body. What is a benefit of mantra meditation? Mantra Meditation is of great benefit to the seeker of Enlightenment. Mantras are Holy repetitive chants that can raise your level of spiritual consciousness. Meditating on these chants can activate your higher spiritual chakras, and awaken your innermost Self. Mantras may be voiced out loud or held in mind. Holding the repetition of a mantra in mind encourages mindfulness and insight. Meditation is the art and practice of regaining control over one’s mind. With stillness of thoughts, comes peace and harmony. Om is a typical combination of words which affects the surrounding and human beings through the vibrations. These mantras are to be chanted for enormous number of times to get the results. Life is very stressful and unhealthy each and every human being surrounds by fear and is always worried about future. This has resulted in fear & loneliness. Mediation is best way to overcome these situations. Acoustic Omkar is the sound and the symbol that brings peace to many and contains the principle of unity. Om is the mantra of many and the synergistic energies of Om are profound. The sound echoes energy giving miraculous result. Om is the seed sound of the sixth chakra where the masculine and feminine energies in one's body meet. Through meditation on Om, one can release worry and find serenity within the mind. Om is that point where you connect with everything that has been and everything that will ever be. When our mind is calm and clear we make our best decisions. When we create peace and harmony in our own life we create a ripple effect which influences other people’s feelings of peace and harmony. Om Meditation is a potent tonic which increases the efficiency of the human organism in a profound manner. The repetition of Omkar leads to excellent mental and physical health. This chant helps to improve the production of endorphin so making you feels relaxed and refreshed every time. It has positive effect for cardiac vascular health lowering blood pressure and increasing efficiency of all the cells and organs in the body. In essence Omkar relaxes and rejuvenates the mind increasing concentration and memory therefore the ability to learn. It helps in cleansing the mind, Body & Soul. It relives the stress levels by supplying more oxygen to the body. So you get relive from stress related headaches. All the gods have their own cryptic Mantras that mostly contain only one letter. A cryptic mantra is a special means in exorcism to achieve perfection quickly. But among the entire single letter cryptic Mantras, Omkar has the top most importance to achieve perfection. In almost all of the religious traditions, importance of OM is undisputed. Om is the symbol of the phonetic Brahma and resonant sound. 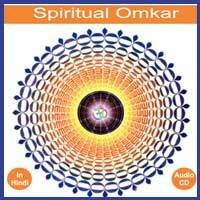 Omkar is the breath of all the organisms and on it depends the life by all means. In OMKAR are present parts of the three arts viz. " Akar, Ukar,& Makar. But at the level of phonetic expression, Om is supposed a combination of three letters : O, U & M. In its phonetic form. OM expresses creation, and is supposed to symbolise awakened state, dreaming state and sleeping state. All the three letters of OUM,represent creation, preservation and destruction. OM is the primordial sound of creation and the source of all other sounds and energy manifestations. We begin and end with the breath and OM is the audible breath unifying the totality of all. OM represents the infinite and the essence of existence. Chanting OM aligns all the chakras and cleanses imbalanced energies, purifying self with numerous healing benefits. symbolize awakened state, dreaming state and sleeping state. All the three letters of OUM, represent creation, preservation and destruction. This is a magical blend of the AUM and the occasional sounds of TIBETAN BELLS for meditation. AUM is not associated only with the Hindu religion, but symbolizes the Omnipresent, Omnipotent Divinity. AUM is the eternal sound that expands the individual consciousness to universal consciousness. It gives knowledge and power to life. TIBETAN BELL is one of the Tibetan mystics, it is represents Wisdom. Accosting sound of AUM & TIBET AN BELL all together it reaches deep into the inner core of your being and transforms you to a blissful state of complete relaxation, building an aura of harmony and positive vibrations. This title is ideal for Reiki practitioners. 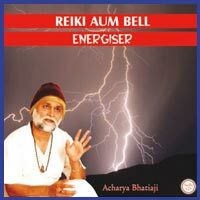 Featuring bell sounds every three minutes for changing Reiki position. If it is chanted alone it empowers the chanter through clearing, centering, and unifying body/mind/spirit into an elevated state of consciousness also helps to energize the atmosphere with positive energies and cleans up negativity. To boost room energy play it constantly. It is more effective while play with Kapur & Dhoop. Heart Chakra: The Heart Chakra is associated with love compassion and forgiveness. This chakra is the most important of all, because it contains the seed for the ability to feel divine, pure love for everyone and everything. This is also the chakra through which we connect with others whom we love or have affection towards. You need work on your Heart Chakra if it's difficult for you to let other people into your life, you have relationship problems, you feel lonely or isolated, social situations leave you tired and worn out, you have a hard time wholeheartedly accepting yourself, you have coronary or circulatory problems. Sensational Omkar: Sensational Omkar tries to touch those emotional chords. 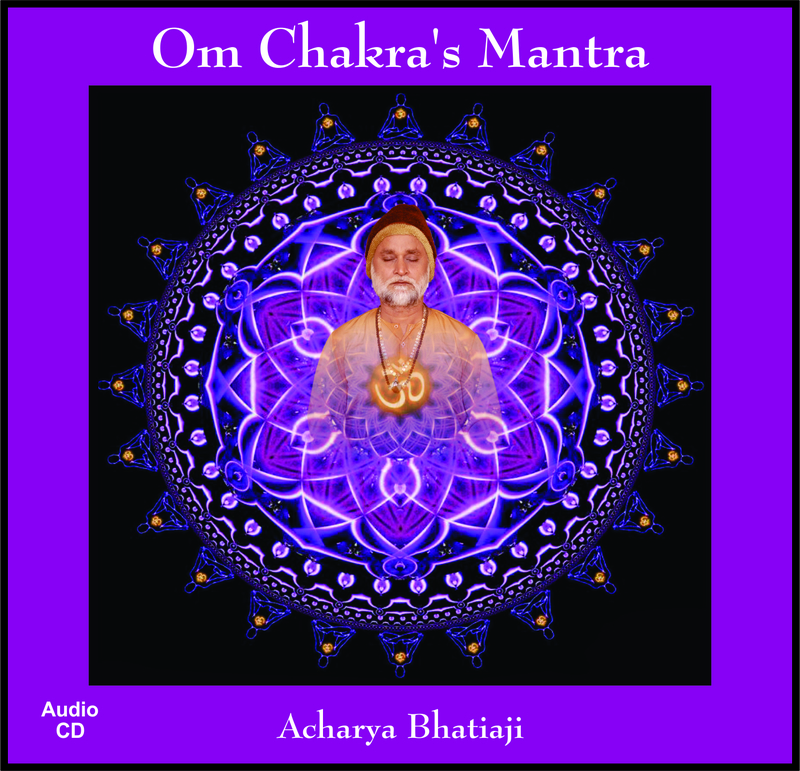 Immerse yourself in the Omkar raga (chant) as it touches your heart activating the heart chakra in daily life.This title which will help in releasing suppressed emotions of guilt and anger. Let go of the fear and open your inner senses to pure love, learning to embrace and comfort others. Get in touch with the beauty of nature, of fear giving way to a more confident approach. Rose Quartz Pendant: Wearing the rose quartz pendant is said to have benefits like building confidence in oneself and helping in getting rid of negative emotion in relationships. This title is a perfect example of a person who is in need of letting go of fear and awakening their heart chakra. We elders have our own selfish interest in dealing with others. Deep within our hearts feelings of selfishness, jealousy, tension and stress are always trying to over power our smile, smoothness and happiness. A child's smile is the mix of happiness and innocence. There is a pure innocence hidden in children's smile. Their smile lights up the surrounding atmosphere and injects the positive energy. This difference is inspired us to bring you the most powerful, effective and pleasant Omkar by children aged between 5 to 10 years. This cute omkar will surely bring smoothness in your routine life. This will bring about an increase in your overall improvement in social, professional, and personal life. Let's fell the purity, innocence and righteousness of cute omkar chanting by the purest form of human beings. 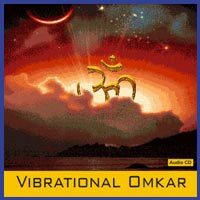 Omkar is One, the universal force. In Om is the creation and the dissolution of creation. In Om is the dissolution of mind. Omkar is the atman, the eternal self in you. Om is indivisible. A human being worries only until the appearance of Omkar Naad. Once the Kundalini is awakened, there is nothing to worry. Kundalini floods our mind and prana in the Omkar sound of our being and dwells freely. When Kundalini is activated, unbroken Omkar Naad goes on; it is beyond the powers of the spiritual aspirant to stop its momentum. It sings. It dances. Omkar Naad is the goal of all spiritual aspirants. A Hathayogi ultimately gains Omkar Naad and attains self-realization.Those who chant Omkara, experience Naad. As they pursue their chanting; those who are given to austerities, obtain Omkar Naad as a fruition of their practices. No matter which sadhana is adopted, the fruit is invariably Omkar Naad. Everything in the universe has a vibration frequency. When an individual is attuned to a certain vibration frequency that represents his ideal balanced state, then the cellular structure can begin to identify with that state instead of the vibration frequency of any disease. Experience an ancient healing technique that uses the cosmic vibration of OM for healing humanity and Mother Earth. The chanting helps to heal any physical, mental or spiritual imbalances of the people participating. 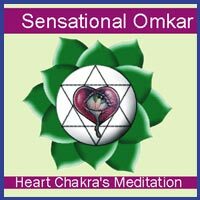 Healing Omkar is a practical way to raise ones internal vibration and assist in the development of your spiritual practice. 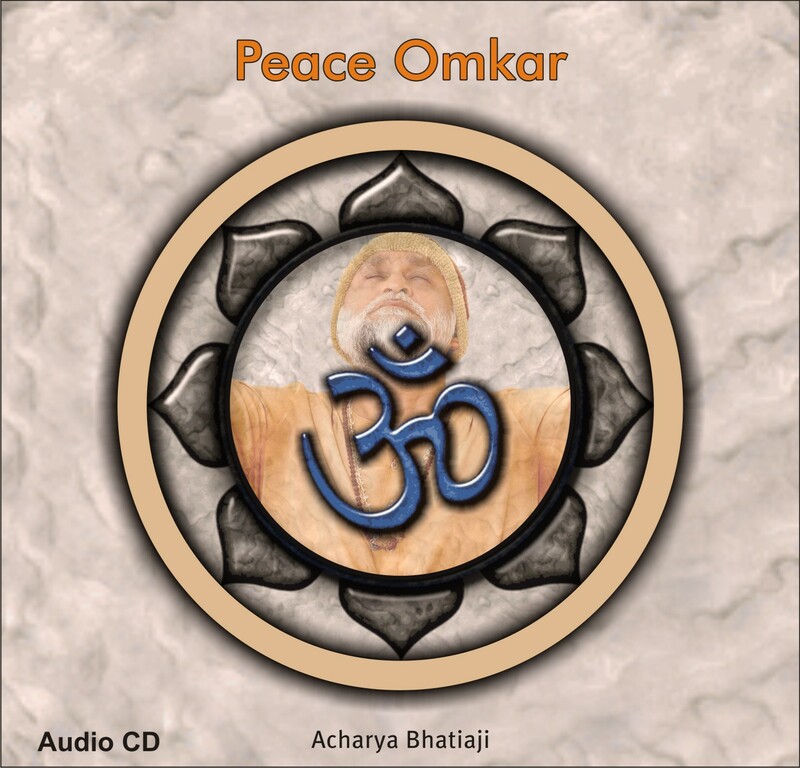 As more and more you listen the Healing Omkar, the healing and sacred energy of OM will naturally embrace, transform and expand our lives and existence as we know it. The chanting of OM quickly relaxes the body and helps generate spiritual energy. In advanced practioners, this can happen during Healing Omkar and can be felt as a hot sensation emanating from the base of the spine. When OM is chanted, the spiritual energies in the body are condensed and the mind can focus on to the mantra far easily. Such absorption fills the mind with peace and can eventually lead to increased spiritual wisdom. Healing Omkar helps to heal people and the surrounding on all levels: physical, emotional, mental and spiritual. Today’s life is very stressful and unhealthy each and every human being surround by fear and is always worried about about future. This has resulted in fear and loneliness. Mediation is best way to overcome these situations. Om, the sound and the symbol that brings peace to many and contains the principle of unity. Om is the mantra of many and the synergistic energies of Om are profound. Om is the seed sound of the sixth chakra where the masculine and feminine energies in one's body meet. Through meditation on Om, one can release worry and find serenity within the mind. Om is that point where you connect with everything that has been and everything that will ever be. Relax in your own peaceful om meditation with soothing sounds and relaxing meditation music. Rejuvenate your soul and body with quiet relaxation.